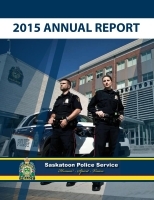 The Planning and Research Unit plays an integral role throughout the Saskatoon Police Service. The Unit leads our service in business planning, internal and external surveys, research and development, statistical reporting and managing the CompStat process. CompStat is a performance management tool where information is gathered from various sources to formulate long-range business plans that meet the current and future policing needs of our community. Computerized statistics, or Compstat, is real time computer-aided crime analysis. It allows the Service to look at what's happening in the City, as it happens. The Compstat program highlights developing crime trends as they develop and assists the Inspector for the area in determining how best to deploy resources to combat the problem. Not only can police target specific local trends and addresses, but also offenders. Maps, charts and statistics are displayed at CompStat meetings which highlight locations of specific crimes as well as the addresses of serious repeat offenders, or those with outstanding warrants, to help officers in their efforts to make the streets safer. One of the keys to making Compstat work is accountability within the Service. During monthly meetings divisional Inspectors are expected to speak to the crimes being committed in their area and actions taken to address the problems. Providing recommendations to the Senior Managers of the SPS, based on sound research methods. The Unit is also responsible for the ongoing development of a variety of documents and reports such as the Strategic Plan, Annual Report, Officers Handbook and the Policy and Procedure Manual.